If you read about my lounge chairs you will know that last year I took some upholstery classes which I enjoyed immensely. 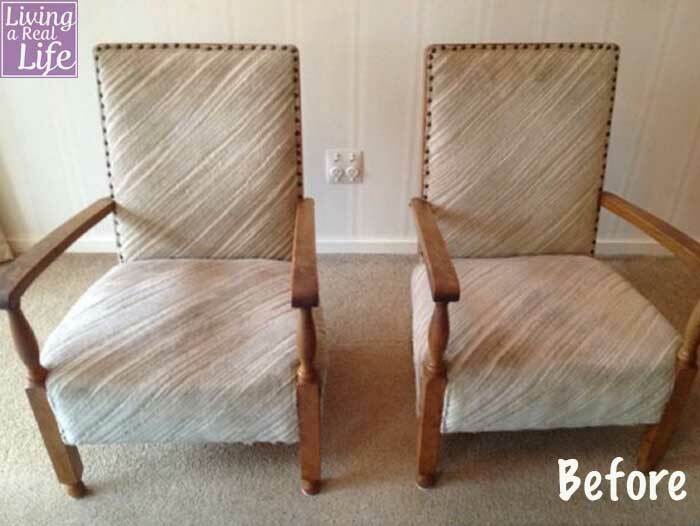 My final project for the year was to transform these wonderful fireside chairs into the beauties they are today. The fabric is Waverly's Santa Maria. Turns out Waverly fabrics can be quite a challenge to get in New Zealand so I finally managed to get it through Fabric Traders in Australia. I stripped the chairs and resprung them. I sanded the arms and waxed them with Briwax Mahogany because they were very blond and I actually wanted the tone to be a bit darker. I won't go through all the steps but I'm very pleased to see how they turned out. If you'd like to see the rest of the family room check out this post.